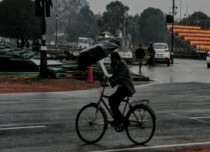 As predicted by Skymet Weather, relief from ongoing extreme hot weather conditions is on cards for Rajasthan as well as Gujarat. 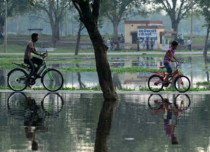 At present, a fresh Western Disturbance is seen over North Pakistan and adjoining Jammu and Kashmir, which is soon likely to induce a cyclonic circulation over Southwest Rajasthan. 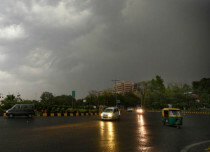 Therefore, today we expect isolated dust storm and thundershower activities over parts of Rajasthan and Gujarat. But gradually the spread and intensity of these weather activities will increase over both the states. After 24 hours, we expect a trough to develop and extend from Rajasthan to North Karnataka across parts of Gujarat and Maharashtra. 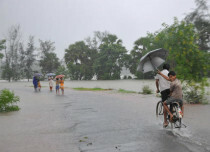 This will also be responsible for the occurrence of widespread rain and thundershowers over Rajasthan as well as Gujarat. 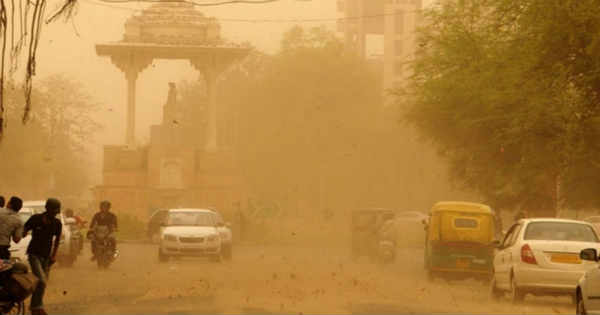 Weather alert for Rajasthan: Dust storm and thundershowers with strong winds (50-70 kmph) will affect Ajmer, Alwar, Banswara, Baran, Barmer, Bharatpur, Bhilwara, Bikaner, Bundi, Chittorgarh, Churu, Dausa, Dholpur, Dungarpur, Ganganagar, Hanumangarh, Jaipur, Jaisalmer, Jalor, Jhalawar, Jhunjhunu, Jodhpur, Karauli, Kota, Nagaur, Pali, Pratapgarh, Rajsamand, Sawai Madhopur, Sikar, Sirohi, Tonk and Udaipur between April 15 and 17. 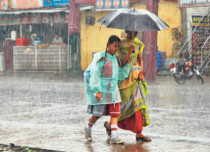 Weather alert for Gujarat: Spell of rain and thundershowers with strong winds are likely over Daman, Ahmedabad, Amreli, Anand, Aravali, Banas Kantha, Bharuch, Bhavnagar, Botad, Chota Udaipur, Devbhumi Dwarka, Dohad, Gandhinagar, Jamnagar, Kachchh, Kheda, Mahesana, Mahisagar, Marvi, Narmada, Navsari, Panch Mahals, Patan, Rajkot, Sabar Kantha, Surat, Surendranagar, Tapi, Vadodara and Valsad districts between April 15 and 16. 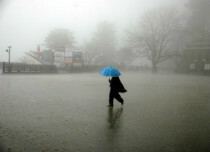 These weather activities are likely to continue till April 17. 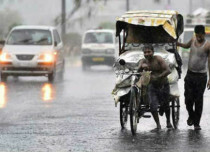 Thereafter, the weather systems will start weakening and rains will reduce significantly. 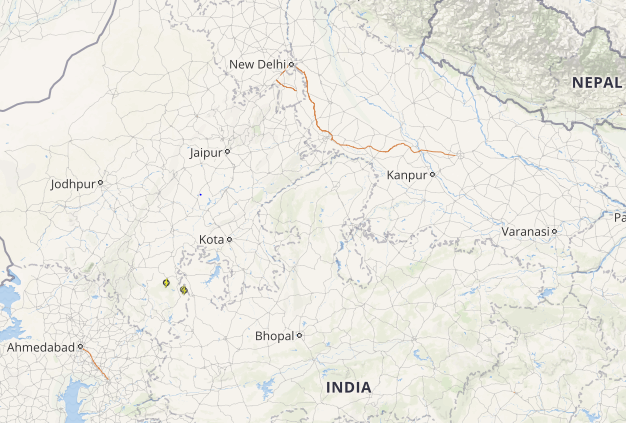 However, isolated pockets of northern/northeastern parts of Rajasthan may continue to witness thunderstorm and dust storm activities. 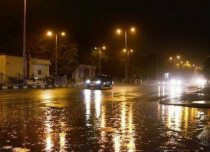 These pre-Monsoon activities such as rains and thundershowers would be instrumental in decreasing the day temperatures, which at present are settling around 40°C and above. 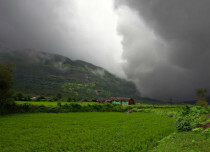 However, afternoon would be hot as these pre-Monsoon rains and thundershowers would be mostly during the second part of the day. Thus, we would get relief during the later afternoon or evening hours.